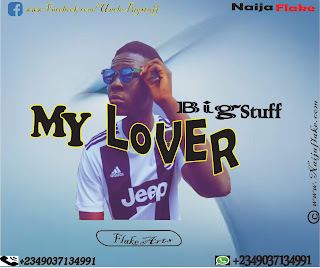 BigStuff Releases New Single Titled My Lover. In case you have been waiting for this hit single which Big Stuff have long been announcing for the past 7days, this is it. Nigerian Talented Singer Harold Emesibe Has been an inspiration to the up coming artistes and entertainers in Nigeria. My Lover tells a story of a guy who loves a girl, but each time he see's the girl, he doesn't know how to tell her. He went on to conclude that the girl loves him just because he see's the girl around him. Come on and see what happened next as BigStuff has gotten a chill pill for you all, download My Lover By BigStuff and enjoy . It's fire for fire in this one, don't mess with a girl especially when it comes to money. She turned on when she saw the money which the boy held on his hand. He's "My Lover" she said after all.